Things you don't see can be the most costly! Have you considered the lost revenue that comes from the bad service you never hear about? Consider the typical scenario in this infographics story. A server is having a bad day and delivers poor service to a customer, and unfortunately you never even hear about it. As a result, that customer no longer considers your restaurant when dining out. Try our service for 3 months, FREE! If that customer typically spends $25 a week at your restaurant, you would lose $1,300 a year in revenue. Imagine if 5 customers had bad experiences that day, it could lead to a loss of $6,500 a year. All these losses could happen in just one day. This damage may happen without you even knowing about the bad customer experiences. These losses get amplified when the unhappy customer tells friends not to visit your restaurant or posts negative online reviews. This is how good restaurants can go out of business. Unfortunately, bad service will happen and that’s why customers need an easy to use, always-on, automated way to leave real-time feedback. So how do you get started and stop losing customers? 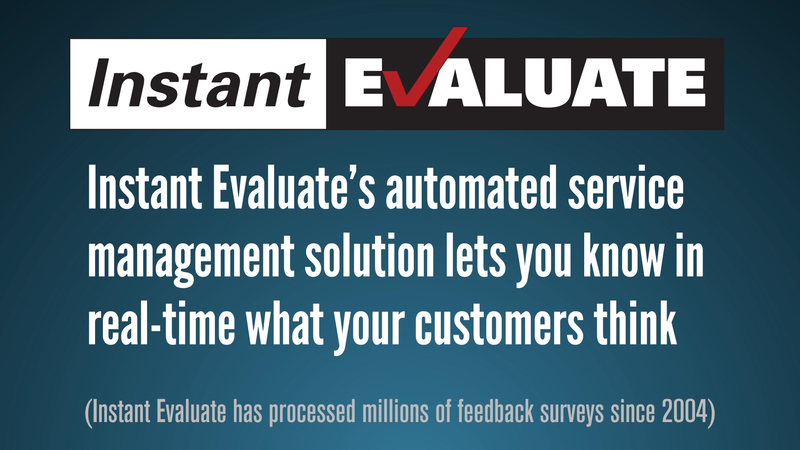 With Instant Evaluate's Customer Feedback Management System proper management will be notified about customer feedback immediately, so that issues can be responded to quickly. Potential unhappy customers will be converted in to loyal customers who promote your restaurant. Contact Us today to get started. We will design a custom solution tailored to your brand and location.